For those of us who stuff our pockets and purses or snap onto our wrists any order of battery-powered, connected devices; 2015 has been an exciting year. This is the year when we decided we liked our smartphones bigger, but as a trade-off were willing to place ever-shrinking devices on other parts of our body. Of course, the bargain we insist upon for wearable tech is that these devices add significant value to our lives. This value includes helping us stay on time for appointments, stay on top of important messages and of course, ensuring better sleep, fitness and overall health. 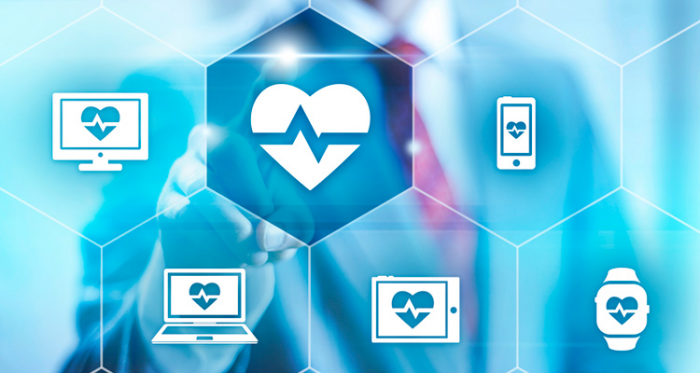 According to IDTechEX, as the wearable electronics business grows from $20 billion in 2015 to likely $70 billion in 2025, healthcare will remain the dominant sector; including medical, fitness and wellness applications. Those wearing the FitBits, Jawbones and Apple Watches are a generation of people who expect these devices to be the panacea that will improve their well-being – the way that other devices have accelerated conveniences in our lives. Achieving wellness, of course, does require some doing. Nutrition, physical activity, positive relationships, mechanisms to cope with stress and career success, as well as spiritual and emotional health, all play a significant role. But the data that flows from these devices can help both users and medical professionals to tailor some holistic lifestyle solutions that promote change and longevity. Some healthcare interests are now using predictive analytics techniques to analyze current and historical data and then use it to improve healthcare quality, prevent adverse events, improve overall health and decrease insurance costs. A recent Wall Street Journal report spotlighted how some hospitals – including Johns Hopkins – are mining “big data” to help ICU patients achieve greater hopes of recovery. Such data helps power decisions like the appropriate time to remove or change central lines, catheters and ventilator tubes. Examples of higher-level quantifiers include a dashboard that calculates “risk scores” to ensure that greater attention is paid to patients whose condition may be poised to take a turn for the worse. Dr. Robert Duggan, a foot and ankle surgeon, uses wearable step trackers in his practice to help patients who are recovering from stress fractures to reduce their daily steps by 50 percent. Duggan further noted that such proactive measures can be implemented for patients with muscle injuries or cardiac issues, using pre-injury data and post-injury tracking to ensure compliance with an optimized recovery plan. In another corner of the wearables universe, many companies are working to gain FDA approval and/or physician acceptance for an incredible array of devices that will live both on and within patients to dynamically monitor ailments like ulcers, asthma, diabetes and breast health. For the majority of today’s wearable users, the ability to visualize the data in a way that is meaningful to them is key to consumer acceptance and continued participation. Apps like MyFitnessPal and RunKeeper aid consumers with weight loss and activity tracking while other apps address specifics such as FitTrace’s focus on body composition and JEFIT Workout’s focus on workouts and gym logs. With predictive calculations unique to each person, apps help users look at progress against goals and offer suggestions to make up for shortfalls in exercise and nutrition. Comparison to benchmarks based on aggregated data and also to peer groups through social media can be a great catalyst. An interesting approach to promoting employee fitness was undertaken by cloud computing firm, Appirio. Appirio issued Fitbits to its employees enabling them to track their fitness, upload their data onto the company's internal social media platform, see their peers' fitness goals and issue challenges. The article notes that in addition to increased employee motivation and productivity, Appirio’s health insurance has decreased as a result of this approach. Clearly, we are on the threshold of a bold new future in which technology will inform us about our health in ways that we never expected. With further improvements in both devices and data plus continued adjustments in the balance between the need for privacy and the importance of detail and analysis, we can expect that the benefits will be profound and lasting.